Impact statements are an estimate of the economic and fiscal impact of a new administrative rule or existing rule change. Fill out worksheets and return to their assigned analyst by email or fax at (225) 342-7243. 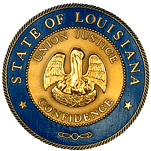 The purpose of this letter is to outline the procedures each agency should follow in complying with Section 953 of Title 49 of the Louisiana Revised Statues.